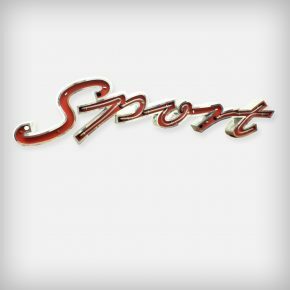 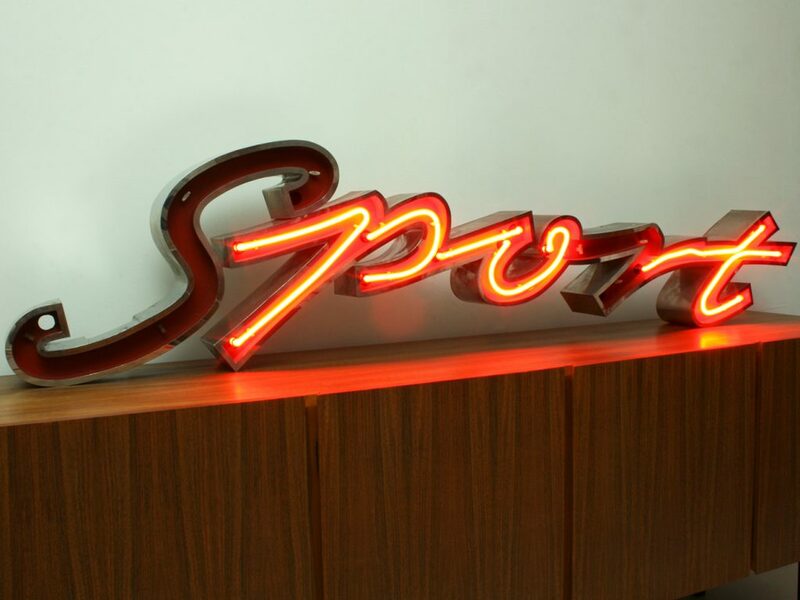 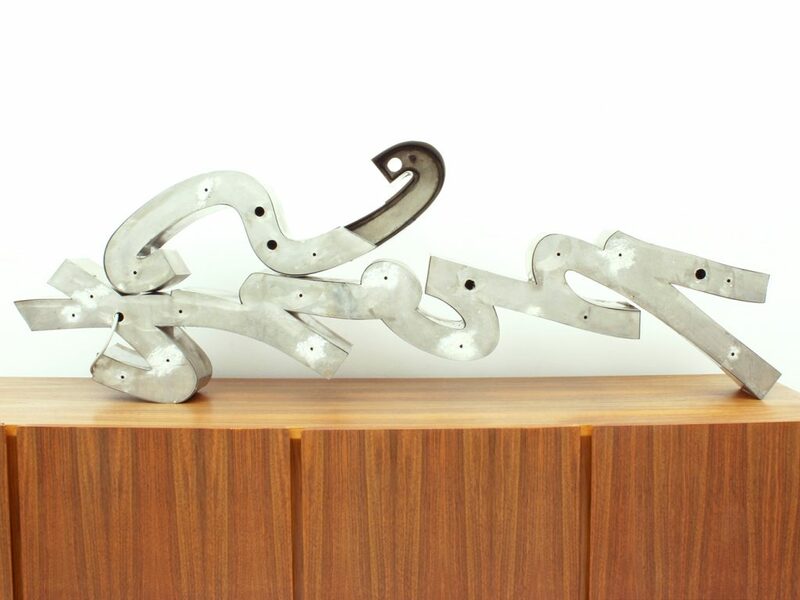 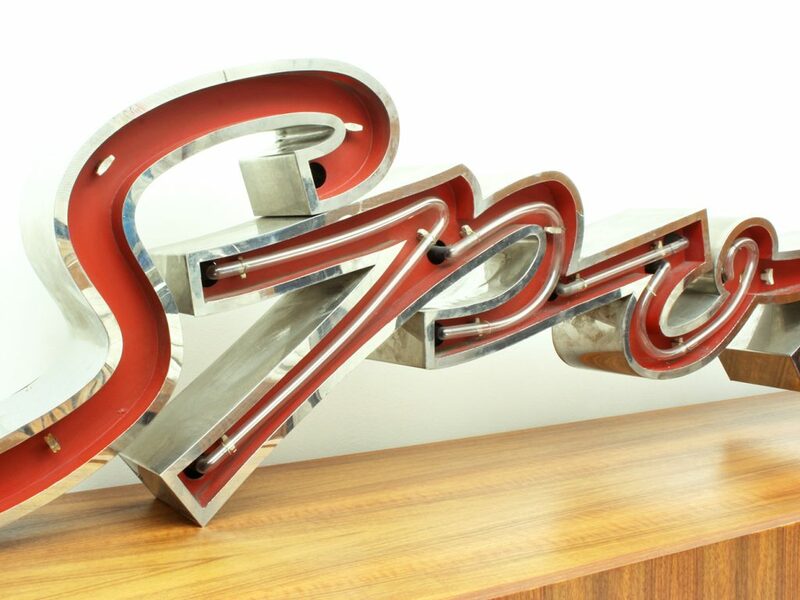 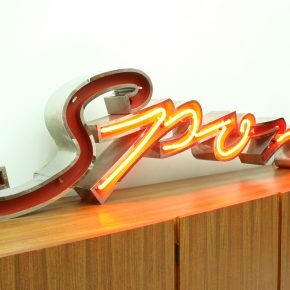 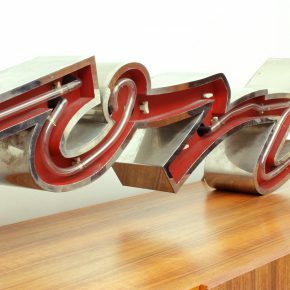 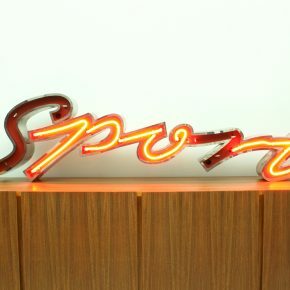 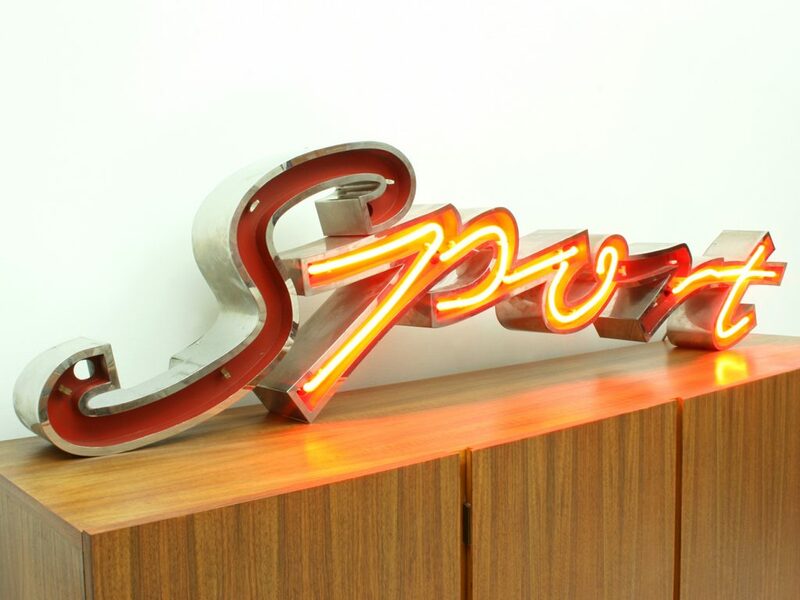 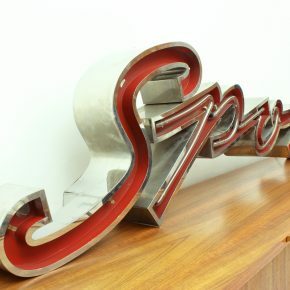 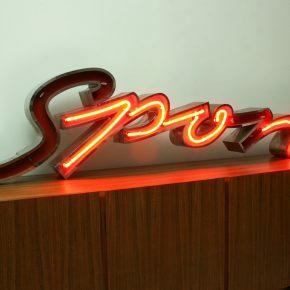 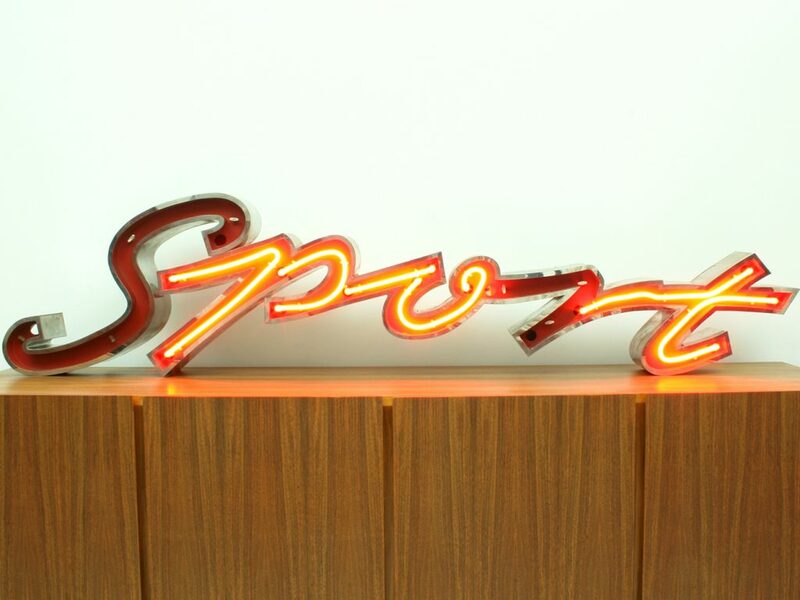 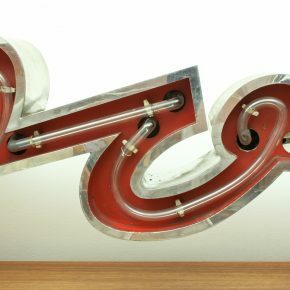 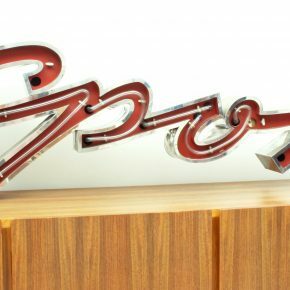 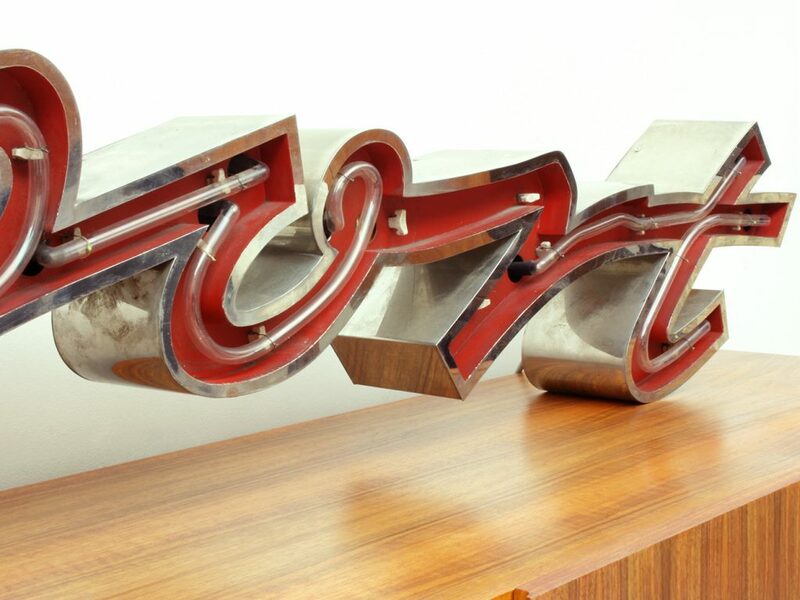 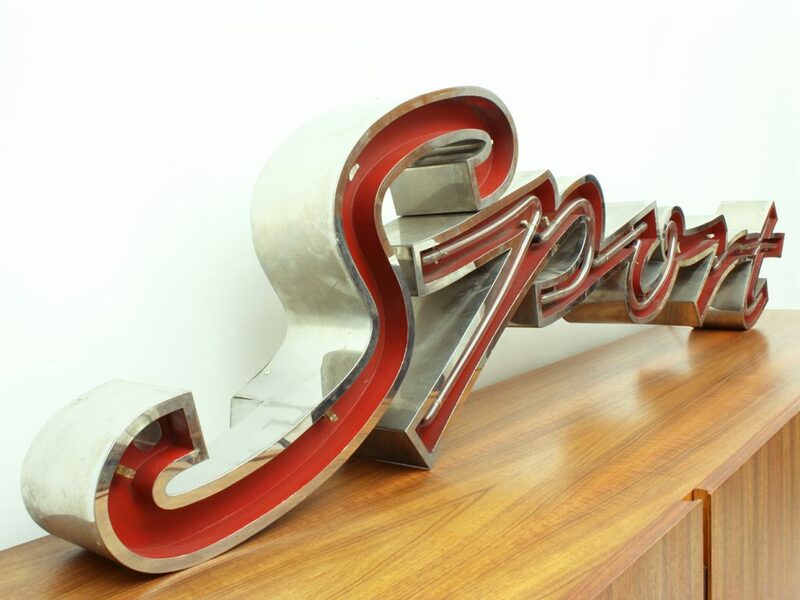 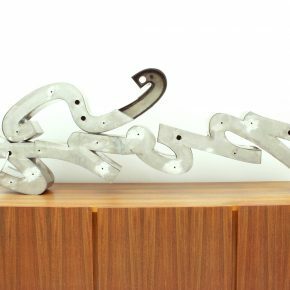 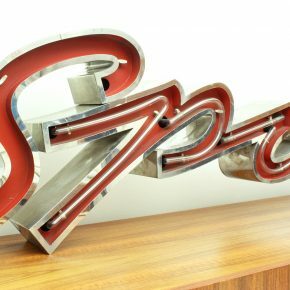 This stunning large lettering made of chrome-plated brass was once from an OLYMPUS sport store in the Netherlands. 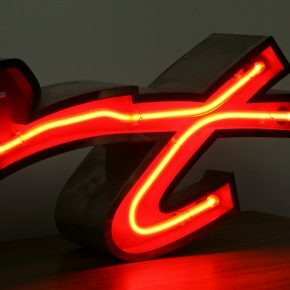 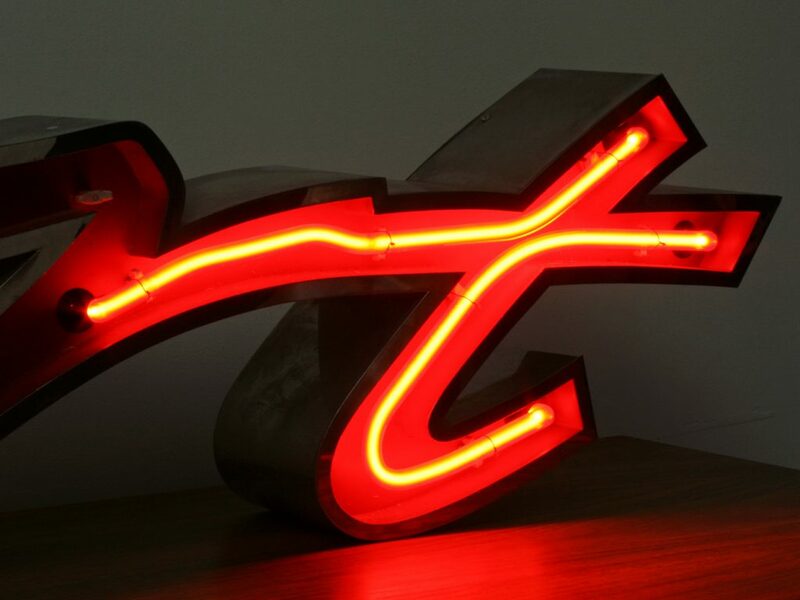 The color of the neon tube shines red when illuminated. 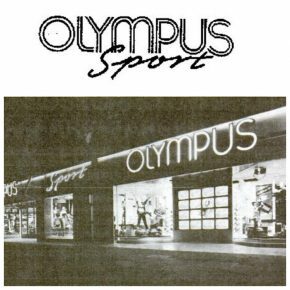 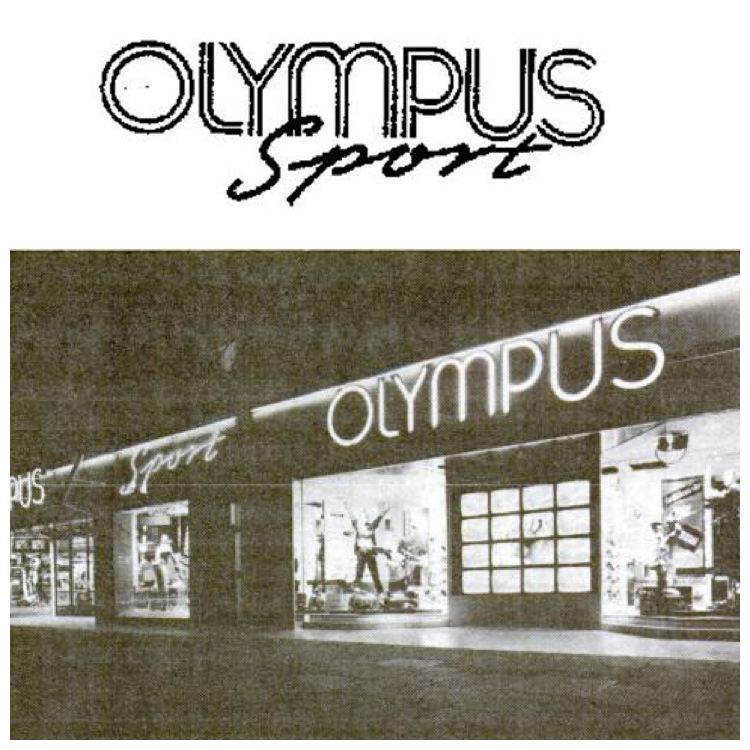 Olympus sport sold sports clothes and equipment and was once the dominant sports chain in Great Britain. 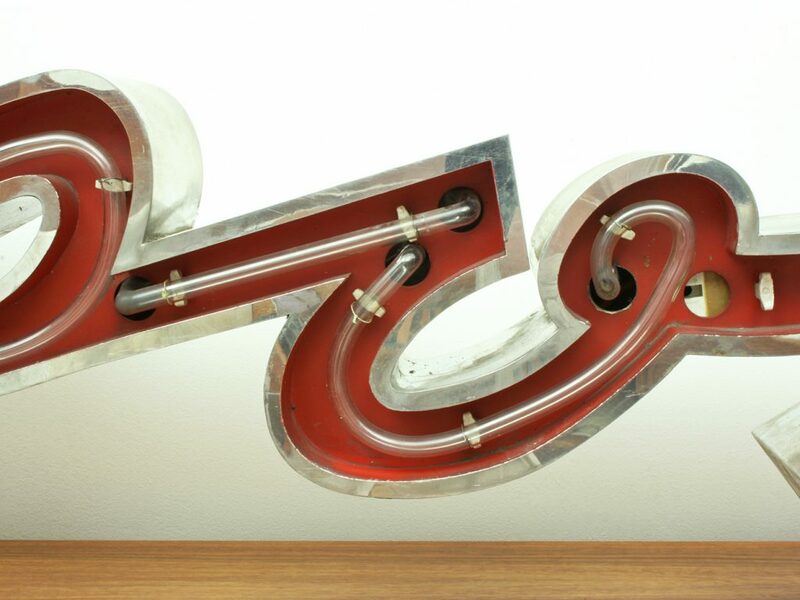 We also have a smaller version of this one for sale and the letters O, L, Y, M, P, U, S.